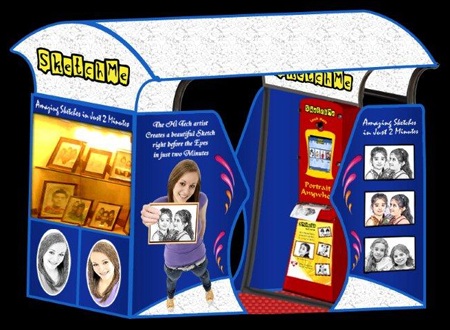 Sketch Me- Advance Sales and Distribution in Nepal : The Portrait System : Central Media Pvt. Ltd. Sketch Me: The system will capture the image of the person and draw a sketch picture in front of his/her eyes. Also gives an excellent printout.